2018 JOBE AIR STREAM 2 PERSON | Sell Fun – New and Used Boat Sales, Jet skis, buggies, speed boats – new and used! Seatbelts fasted? Climb on board on the Airstream and be prepared for a bumpy flight. This is one of our top sellers and for good reason. 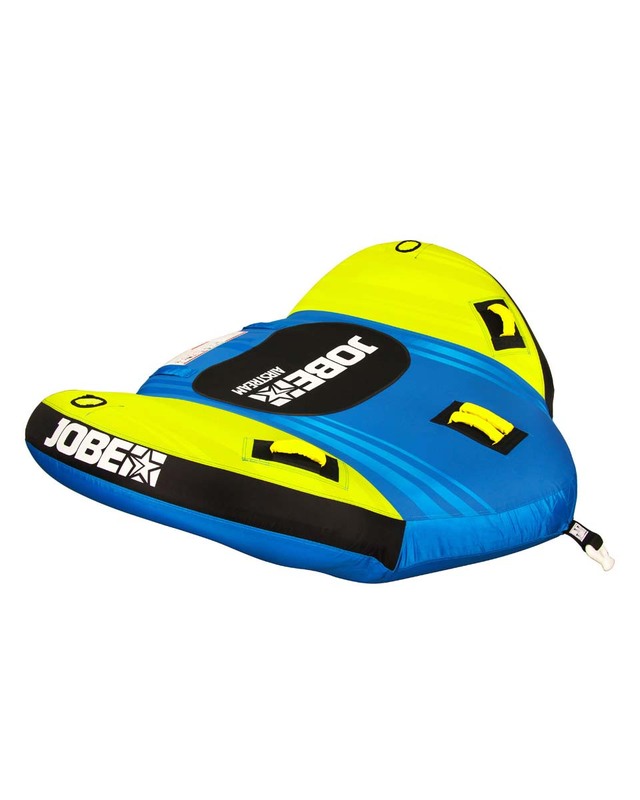 Due to its 4 strategically placed comfy foam-filled handles with luxurious knuckle protection, Jobe’s Airstream allows different riding positions. The Airstream is manufactured with a 840 denier nylon cover, which makes the Airstream stronger than most competitors. It’s well-thought out form gives users a lively, energetic feeling and make them literally fly over the water. A one way valve and quick connector make this tube super user-friendly.